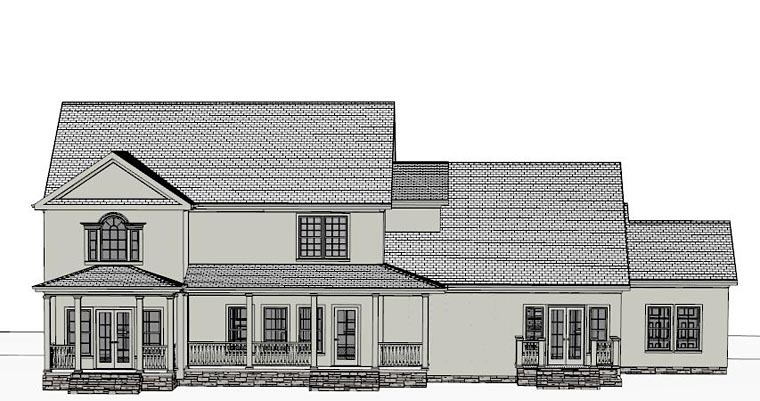 This is the artist’s sketch of the exterior of the house, fully built and landscaped. The blueprint set also contains detailed drawings of the rear and sides of your house, with specific attention to exterior materials and finishes, like brick and stone accents, cornice details and other finish items that lend a unique touch to your house. This is a sheet showing the foundation layout, which includes posts, beams, footings, pads, bearing walls and foundation notes. 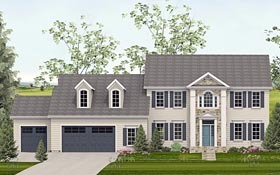 If the home has a basement, the first floor framing details will also be included here. These are large-scale views of sections of the foundation, exterior walls, interior walls, stairways, floors, and roof details. These show the relationship of one floor to another, and how the various parts of the house fit together. These are detailed layouts of each floor, showing door, windows, and proper dimensions of every other elements, along with keys used for cross-sectional details present elsewhere in the house plan. These include details of floor support structures, including floor joist, ceiling joist, direction, span, spacing, framing connections, dormers and stairways. This sheet provides suggested locations for all outlets, lighting, circuits and switches, with notes, for all rooms, levels and structures. The electrician is to design how all the wiring is to be done as the electrical plan does not contain these details.